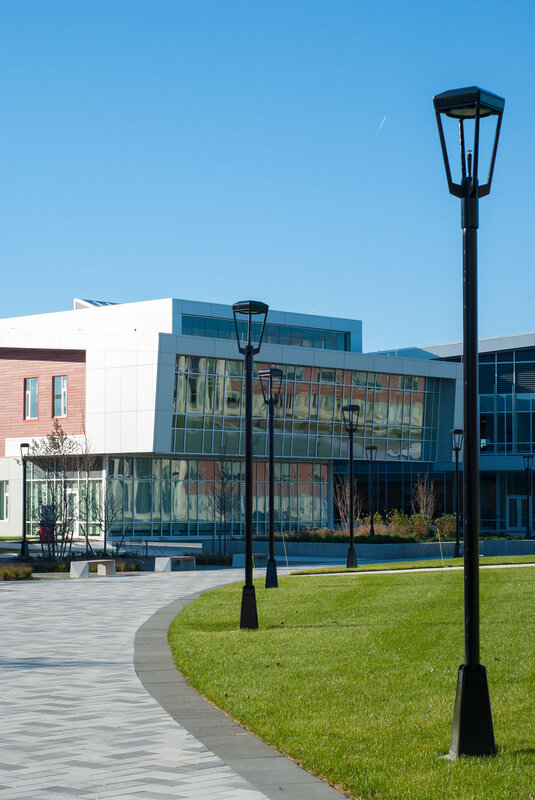 At the heart of the campus, Sikora Wells Appel created a new Quad that was designed in concert with the Student Success Center. 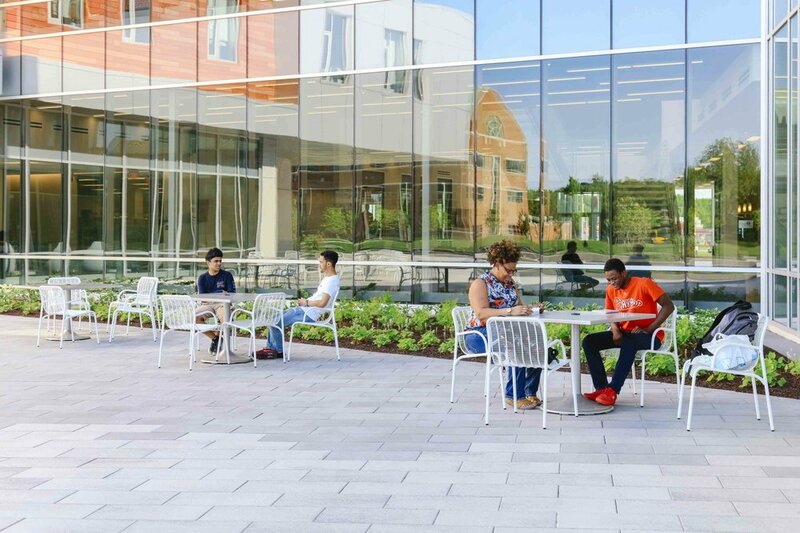 This new series of spaces has completely transformed the feel and functionality of the campus and was driven by the institution’s planned transformation from a two-year commuter college to a four-year college. 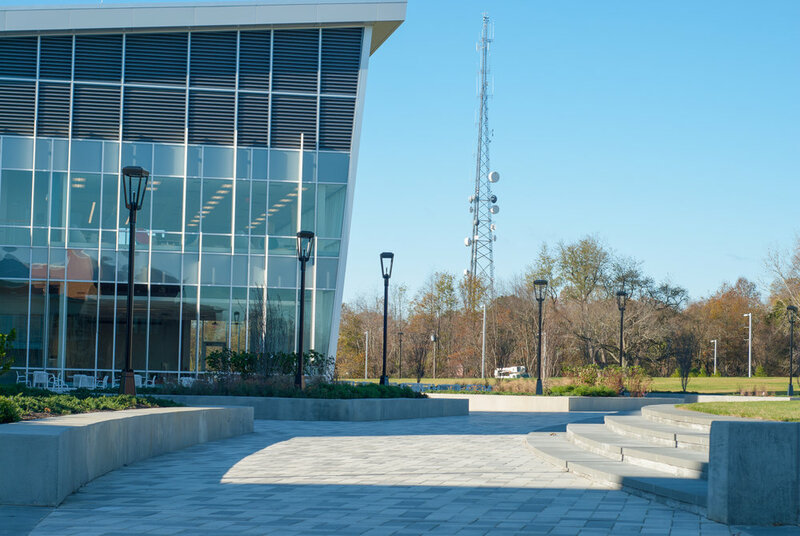 The Quad balances an open lawn space designed to hold large events and ceremonies with smaller areas for gathering, dining, and studying. 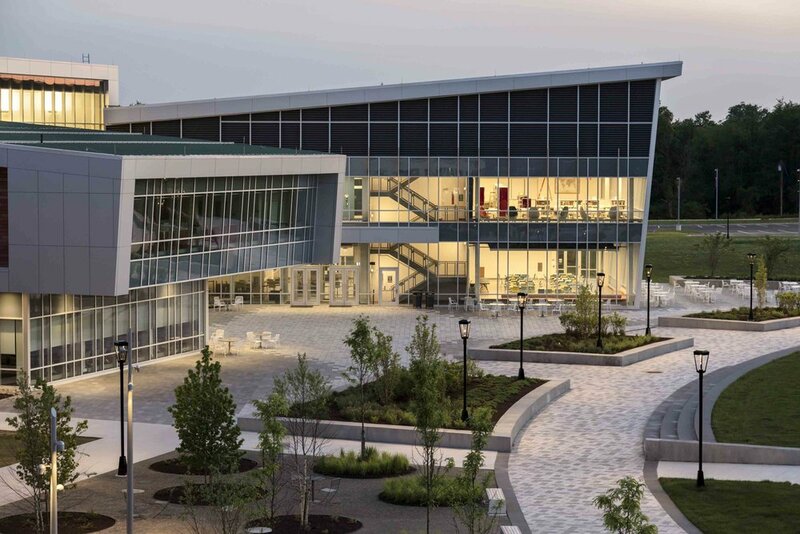 As the central activity hub, the Student Success Center Plaza was created with flexibility in mind and accommodates daily outdoor dining, outdoor classes, and other events. 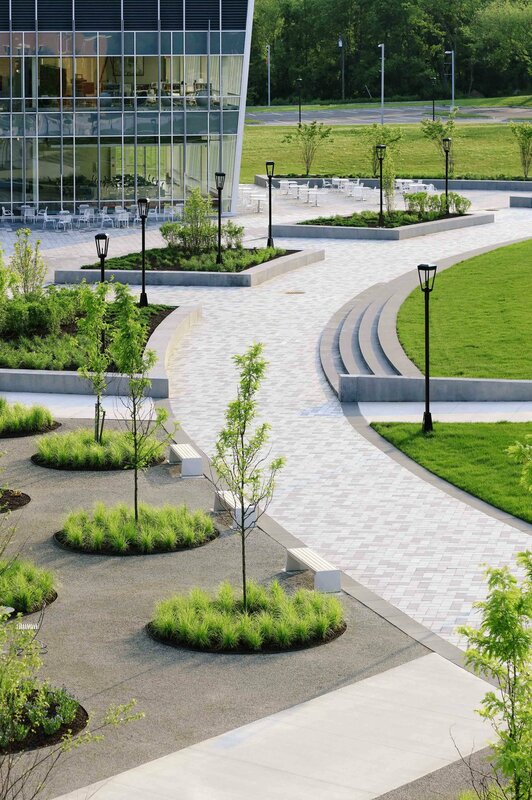 Anchored by numerous built-in seating options, the Success Center Plaza boasts nearly 400 linear feet of amphitheater bluestone steps in addition to large-scale concrete seat wall planters, which are filled with ornamental grasses, perennials, shrubs, and flowering trees. By contrast, the Grove is a more intimate space, incorporating a variety of shade trees, groundcover planting, stone dust gravel, and moveable tables and chairs. 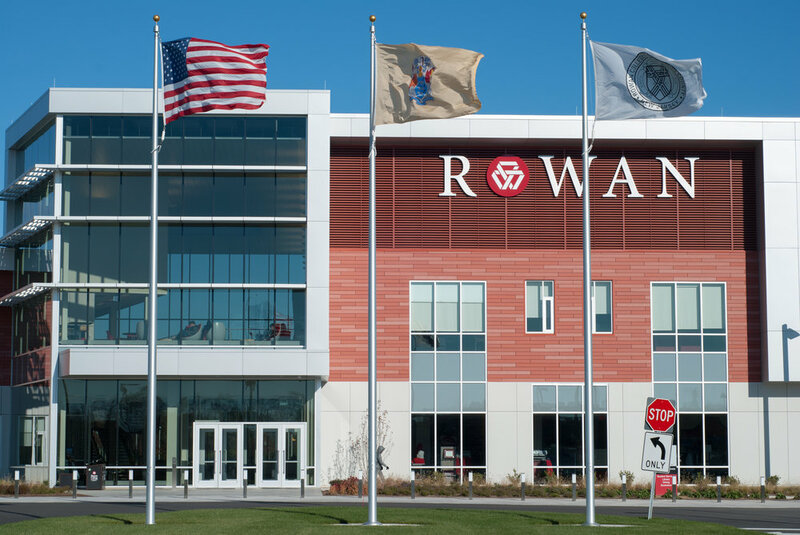 A network of new walking paths serves to connect students to each building as well as the parking lots and other areas of campus.